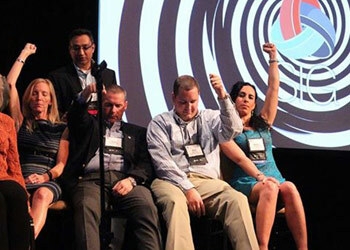 The Business Hypnotist — Tom Set the Standard! 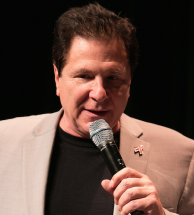 Tom DeLuca’s hypnotist show highlights the fun and creativity of participants in ways that have made him the most-requested corporate hypnotist and college hypnotist in the U.S. – and that’s a fact! Find out how to bring Tom to your event – Contact your representative. Tom's performance was better than we could have dreamed . . . He was the consummate professional . . . I can't recommend him enough! Your act was easily the best entertainment we have had at our awards program . . .
. . . the highlight of our sales conference. 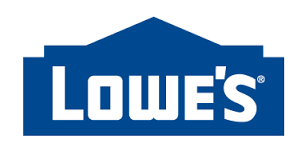 I'd absolutely recommend Tom DeLuca!"
. . . Incredible show! Everyone marveled at the hypnotic antics of our friends; they have not stopped talking about it and we doubt they ever will! You are enormously entertaining . . . To think that a 90-minute experience could so effectively draw together such a diverse audience was a benefit I had not expected. Hundreds of companies and associations use Tom DeLuca’s hypnosis show and ImaginACTION!® Workshop to entertain and benefit their attendees.